I am always careful of saying a ‘second wine’, there is a distinct negative connotation. Rather, I think of ‘second’ wines as the wines that you can drink now while waiting for the ‘rockstar’ wine of the Chateau to age with graceful maturity. And so, I am happy to say that this Soutard wine is one that has the versatility to move between the lunch table, to the dinner table to the couch quite seamlessly. A classic Saint Emilion merlot dominant blend that is youthful, warm and smooth. The fresh plum and blackcurrant fruit has a smoky edge to the sweet spice. 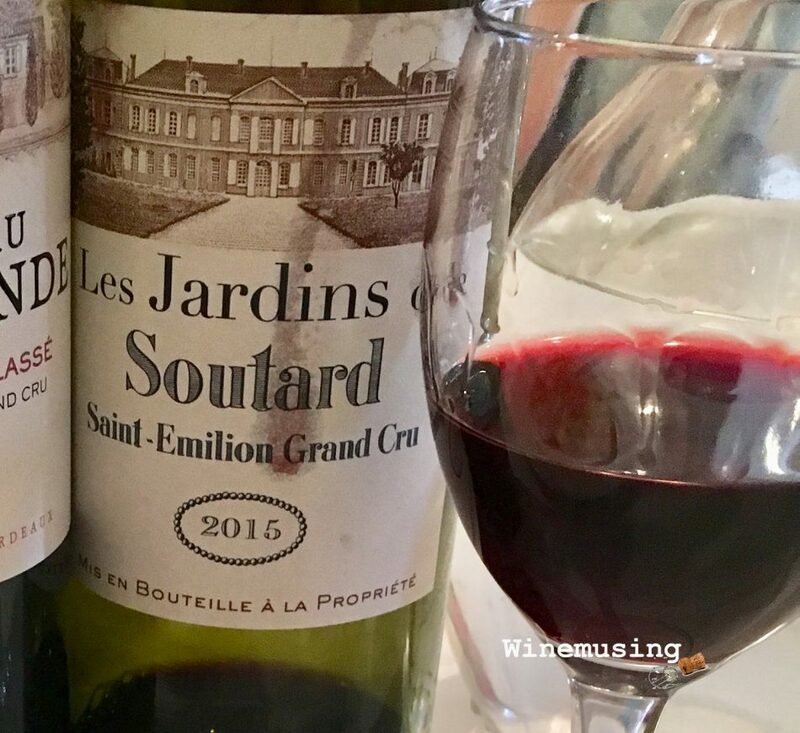 With soft and ripe tannins delivering shapeliness and that juicy fruit ensures the Les Jardins de Soutard does not compromise on freshness. It is this combination that makes it so appealing and this combination that makes it a good choice for drinking now.